We designed our cabinets to be fine furniture. 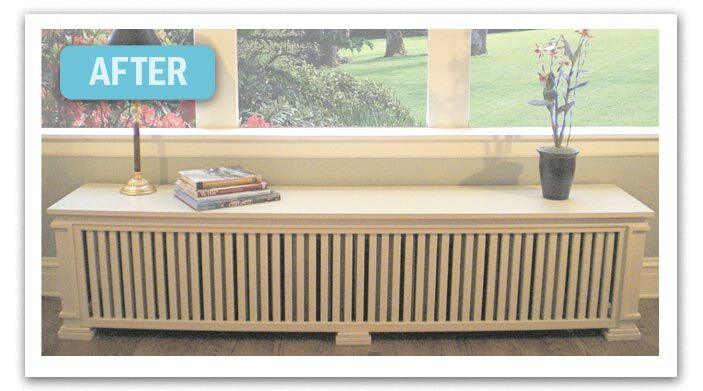 Just push them in place and you have an elegant cabinet or window seat replacing the radiator. 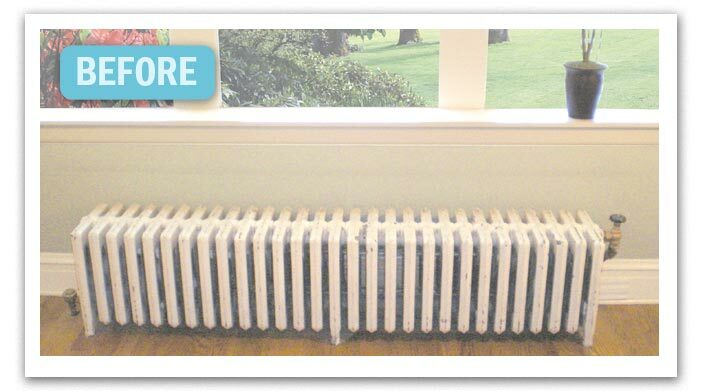 Because there are no backsides you will have easy access to make any necessary heat adjustments. We can also include an access lid to reach control panels. Red oak is our standard material when staining; however, we can build our cabinets in quarter-sawn oak, maple, cherry and Honduras mahogany for an additional charge. Our painted cabinets are built in poplar. The tops of our cabinets are equipped with a ½ inch foil-backed insulation, directing the heat into the room and away from cold surfaces. This also helps it to remain at room temperature so you can put your belongings on it without concern. By the way, our cabinets are strong enough to sit on! Window seats are a common use. We offer a variety of paint and stain options and can also match any Benjamin Moore color.